Supported by the esteemed art business, Christie's International Real Estate is a global network offering exclusive home and luxury real estate services to buyers and sellers worldwide. Admittance to our network is by invitation only to real estate brokerages that demonstrate a proven record of success in luxury property sales. Our real estate company is driven by the global span and expertise of our Affiliate network, which extends to more than 138 Affiliated brokerages in 46 countries. More than US$115 billion of residential real estate was sold by Affiliated brokerages in 2016. The Christie's International Real Estate network receives more than 70 million online visits each year from discerning homebuyers worldwide. Buying or selling your high-value home can be a complex process. Let our prime property specialists guide you with the tailored, trusted level of service that discerning Christie's clients have depended on for 250 years. No other luxury real estate business shares common ownership with a fine art auction house. Christie’s International Real Estate has the unique ability to extend to buyers and sellers of real estate the expert service that Christie’s art clients have trusted for centuries. Through this powerful connection, we open the door to an extraordinary global audience of high-net-worth individuals. The successful sale of a luxury property begins with the right broker. 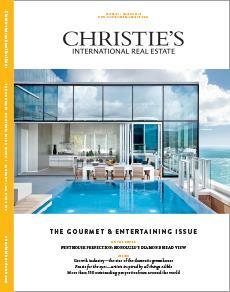 Christie's International Real Estate has made that selection process easier for you. 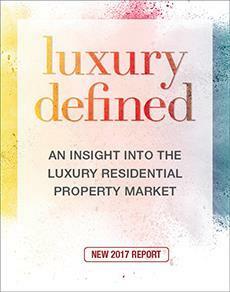 Firms invited to our exclusive network must exceed our stringent standards based on trust, discretion, and excellence, and demonstrate continued success in luxury property sales. With 138 Affiliated brokerages in 46 countries, and a presence at many of Christie's 53 offices and showrooms worldwide, we offer an incomparable level of tailored service and global visibility. Our unparalleled reach—and our established connections with affluent individuals—can help find the right buyer for your property, whether they are halfway around the world or living right next-door. We focus exclusively on luxury residential real estate. With more than US$115 billion of residential real estate sales in 2016, our Affiliates hold numerous records for top property sales worldwide. By choosing one of our Affiliates for your real estate needs, you can be confident that you have chosen a brokerage that has earned its place in the luxury real estate arena locally, as well as internationally. From Sydney to Stockholm, our experts can help you with your luxury real estate needs. Contact David Bilder today.